Being one of the leading furniture distributors in Australia, i.Life aims at providing premium furniture with optimum comfort as well as contemporary design. With the long standing partnership with the renowned manufacturers, i.Life is always on top of the latest design trends and technology development; and is able to provide the best range of furniture at very competitive prices. 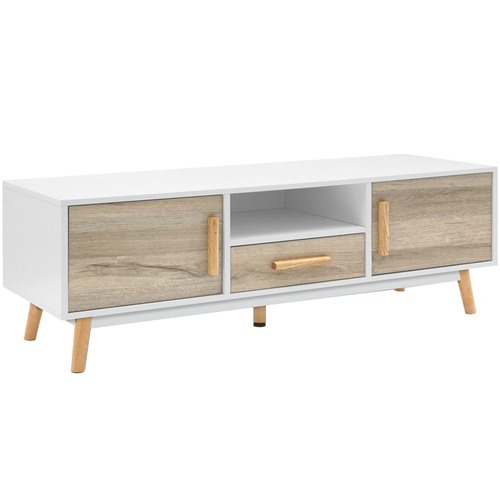 The 120cm Becca Wooden Entertainment Unit is a Coastal or Casual style product. Coastal style is exemplified by perfect for a beach or lake house or coastal design features whites, blues, and sandy neutrals. Motifs such as shells, coral, sea life and nautical instruments complete the look. 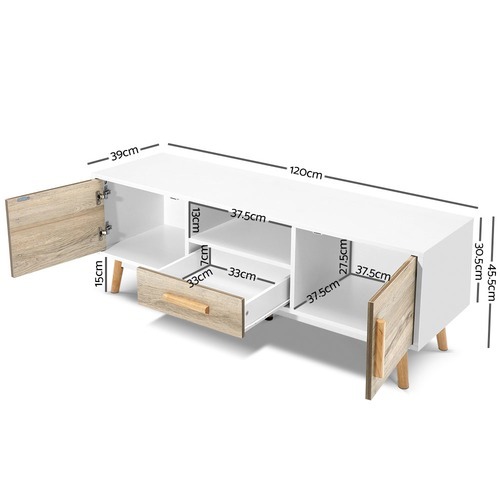 You can shop for more Coastal or Casual TV Units in the Furniture section of our site. 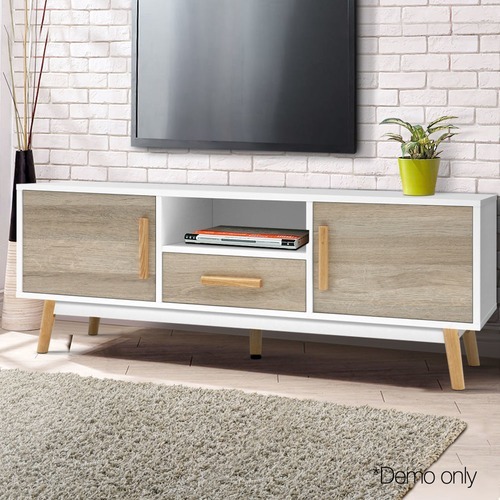 When you buy a 120cm Becca Wooden Entertainment Unit online from Temple & Webster in Australia, we make it as easy as possible for you to find out when your product will be delivered to your home in Melbourne, Sydney or any major city. You can check on a delivery estimate for the i.Life Part #: FURNI-G-CHIC-TV-WH-WD here. If you have any questions about your purchase or any other TV Units product for sale our customer service representatives are available to help.Whether you just want to buy a 120cm Becca Wooden Entertainment Unit or shop for your entire home, Temple & Webster has a zillion things home. I love this unit but it would have been good to have a hole in the back for wires to pass through. Shipping was quick within a week I recieved it and assembly wasn't too complicated however was definitely easier having another person to help. Intstructions were easy to understand. Love this website would definitely recommend and buy from it again. Unfortunately the product was not perfect! Lots of damaged parts in the box. This is a downside of online shopping. Very poor customer service too. This TV stand was exactly what we were expecting. It’s a great quality product in a clean Scandinavian style, with plenty of storage space in the drawers.